Collaborating with Partners In Health & Harvard Medical School, the Abundance Project for Global Health supported research and training initiatives aimed at alleviating health care disparities and strengthening healthcare systems across the globe. The multi-faceted Abundance Project for Global Health helped build on-the-ground capacity to respond to emergencies, and treat and prevent disease through medical education and health system strengthening around the globe. The Project increased opportunities for the training of global health professionals, supported breakthrough research, and increased accessibility to information for medical professionals worldwide. Crucial Early Support for Ebola Research: Early in the Ebola crisis, Abundance Foundation partnered with the Harvard Medical School Global Health Research Core, ensuring funding for research, published in The Lancet, that showed how to accurately diagnose Ebola patients within minutes. With bedside diagnostics as easy to use as a pregnancy test, this finding has had a major impact on the diagnosis, treatment and prevention of Ebola. Cholera Vaccinations in Haiti: After the devastating earthquake in Haiti created the perfect storm for a cholera epidemic, Dr. Louise Ivers successfully vaccinated 100, 000 Haitians against the disease and changed the way the infectious disease community looks at cholera control with her research published in The Lancet. Innovative Harvard Medical School Master’s Programs: In order to build local capacity and leadership in resource-limited countries, Abundance Foundation partnered with Harvard Medical School to develop a Masters of Medical Science in Global Health Delivery (MMSc-GHD). A rigorous cross-university curriculum focused on social and delivery science and policy research in resource-limited settings, the program contributes to global health scholarship while enhancing the quality of health care delivery and training available in countries including Haiti, Rwanda, and Sierra Leone. Emergency Medicine Residency in Haiti: Emergency and Family Medicine Residency programs built capacity and local leadership by training physicians and nurses with especially robust programs in the emergency department at the new Hôpital Universitaire de Mirebalais. Free Access to Life-Saving Medical Reference Tools: Investment in the Global Health Delivery Project at Harvard University (GHD) has helped create the premier online space, GHDonline, where health professionals throughout the world can connect. With over 20, 000 participants representing 168 countries, GHDonline plays an essential role in health care delivery knowledge dissemination, learning and training. Furthermore, in partnership with UpToDate, the Global Health Delivery Project provided free access to world-class evidence-based clinical resources to 20, 000+ clinicians in 20+ institutions in 60+ countries, caring for more than 25 million patients per year. This program has led to an ongoing pilot that aims to provide every medical school in Africa with these essential digital medical training tools. Unique Partnerships between Harvard Graduate Students and Community Health Centers: The Agents of Change program was designed to address health inequities by challenging students across Harvard’s graduate schools to create cross-disciplinary teams and develop partnerships with community health centers in order to develop out-of-the-box solutions for empowering marginalized and economically disadvantaged communities. The Abundance Foundation believes that it is not only important to find new ways to address global health needs, but equally important to develop medical education programs that are sustainable and provide opportunities for training future generations of doctors, nurses, mental health providers, and public health experts. 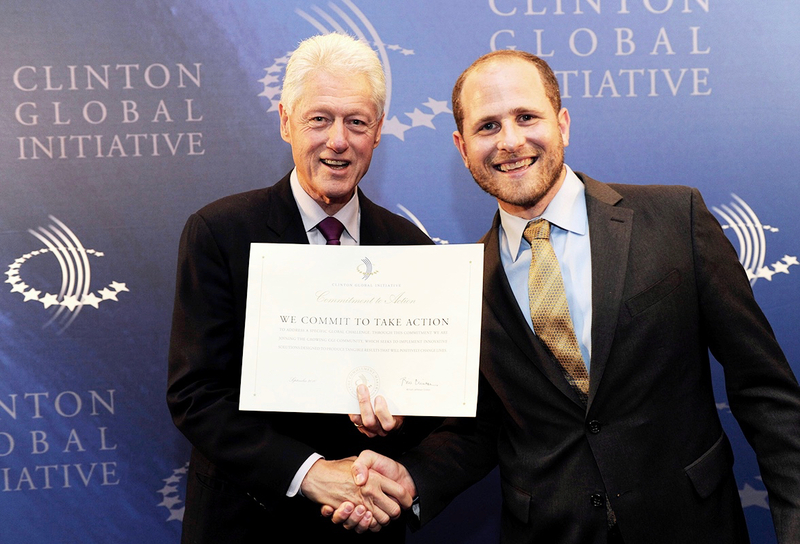 Established in 2005 by President Bill Clinton, the Clinton Global Initiative (CGI), an initiative of the Clinton Foundation, convenes global leaders to create and implement solutions to the world’s most pressing challenges. CGI Annual Meetings have brought together 190 sitting and former heads of state, more than 20 Nobel Prize laureates, and hundreds of leading CEOs, heads of foundations and NGOs, major philanthropists, and members of the media. To date, members of the CGI community have made more than 3, 500 Commitments to Action, which have improved the lives of over 430 million people in more than 180 countries.